Wordsworth Editions Ltd. Paperback. GOOD. Spine creases, wear to binding and pages from reading. May contain limited notes, underlining or highlighting that does affect the text. Possible ex library copy, thatâll have the markings and stickers associated from the library. Accessories such as CD, codes, toys, may not be included. Wordsworth Editions, Limited, 2000. Paperback. Acceptable. Disclaimer:A readable copy. All pages are intact, and the cover is intact. Pages can include considerable notes-in pen or highlighter-but the notes cannot obscure the text. Wordsworth Editions Ltd. PAPERBACK. 1853261238 Remainder mark . Fine. Wordsworth Editions Ltd. PAPERBACK. 1853261238 . New. Wordsworth Editions Ltd. New. Wordsworth Press, Paperback, 1999, Book Condition: New, In these delightful tales, Oscar Wilde employs all his grace, artistry and wit. 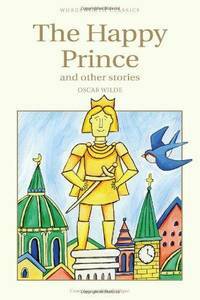 The Happy Prince tells of the statue of a once pleasure-loving Prince which, with the help of a selfless Swallow helps people in distress. 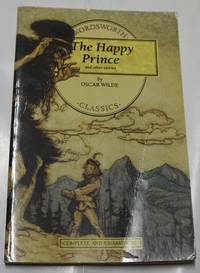 As well as The Nightingale and the Rose, The Devoted Friend and The Remarkable Rocket, this collection contains The Selfish Giant, a remarkable story of the redemptive power of love. . 1999. 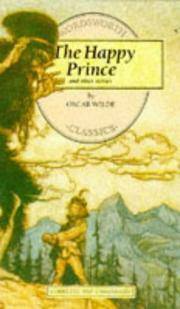 TRADE PAPERBACK.
.: Wordsworth Classics, 2012. Please email us if you would like further information or if you would like us to send you a picture of the book. The book i am offering may not have the same cover as the one pictured. they are stock photos from the site. Thanks for looking! . Softcover. Very Good +. 12mo - over 6¾" - 7¾" tall. Wordsworth Editions Ltd. PAPERBACK. 1853261238 Special order direct from the distributor . New. Wordsworth Editions Ltd. PAPERBACK. 1853261238 Very Good Condition.Access codes and supplements are not guaranteed with used items. No highlighting and No markings.Covers could be repaired or might have self wear sign . Very Good. Wordsworth Editions Ltd. PAPERBACK. 1853261238 Brand New ,Original Book , Direct from Source , Express 5-8 Business days worldwide Delivery. . New. Wordsworth Editions Ltd, 11/01/1993. Paperback. Used; Good. **WE SHIP WITHIN 24 HRS FROM LONDON, UK, 98% OF OUR ORDERS ARE RECEIVED WITHIN 7-10 DAYS. We believe you will be completely satisfied with our quick and reliable service. All orders are dispatched as swiftly as possible! Buy with confidence! Wordsworth, 1993. New unread . Paperback. New. 8vo - over 7¾" - 9¾" tall.